Henry Cavill announced today that his beloved mustache has been shaved. The mustache was first grown on the set of Mission: Impossible—Fallout, where the actor was forced to add a bit of mischievous foliage for his role. It was a full but contained bit of facial hair, never quite lapsing into the bushy territory so many mustaches do, draping confidently above the British actor’s upper lip but never encroaching on the proper space of his mouth. 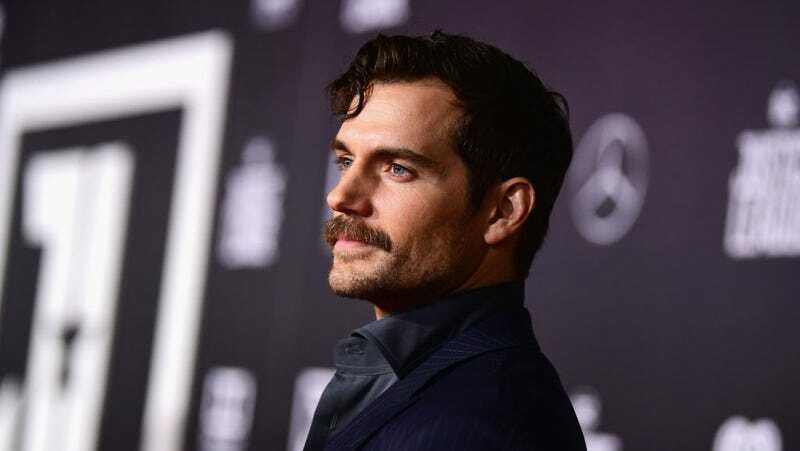 Conflict struck shortly into the mustache’s existence, as reshoots were called for Justice League, and Cavill was forced to either 1) play Superman with a mustache, thus creating a ridiculous image that would require a whole effects team to digitally correct, a task at which they might fail and then leave a weird shadow mustache onscreen in the final film, or 2) shave. Wisely, he chose the former, preserving the mustache’s integrity, as well as the folicular continuity of the upcoming Mission: Impossible installment. For awhile, it seemed the two were inseparable. How could future directors cast Cavill and not keep the famed mustache, impervious to digital erasure, along for the ride? But an actor’s life moves quickly, and new demands are made, ones that can drastically alter the fate and face of the actor. Such was the case with Henry Cavill’s fine, well-manicured mustache. Cavill commemorated the loss with a touching video posted to his Instagram, appended with #ShavedButNotForgotten—truly a rallying cry to all who are forced to part with a piece of facial hair before their time. The mustache is survived by the rest of Henry Cavill’s hair.